WASHINGTON, Jul 16 2013 (IPS) - As a new round of talks behind a major proposed free trade area, the Trans-Pacific Partnership (TPP), get underway this week, the United States is pushing several developing countries to accept provisions that critics say would make it more difficult for their citizens to access medicine. “The concern about access to medicine, and that the TPP deal will lead to high health-care costs, is huge,” Arthur Stamoulis, executive director of Citizens Trade Campaign, a fair trade advocacy group based here, told IPS. Negotiations for the TPP, which officially started in 2010, are currently being held in Malaysia, and the countries participating include the United States, Australia, New Zealand, Chile, Peru, Brunei, Singapore, Malaysia, Vietnam, Canada and Mexico. Japan is expected to join at the end of this round, while others have expressed interest in signing on, as well. Yet critics have long warned that the United States appeared to be setting onerous conditions for any agreement, while complaining that the talks have been held in near secrecy, lacking oversight even from the U.S. Congress. While intellectual property provisions proposed by the United States may be intended to promote innovation, MSF notes that they would extend monopoly powers derived from patents to pharmaceutical companies that sell their medicines abroad. This means that it would take longer for cheaper generic drugs to come to market in low-income countries, where citizens often struggle to afford basic necessities. 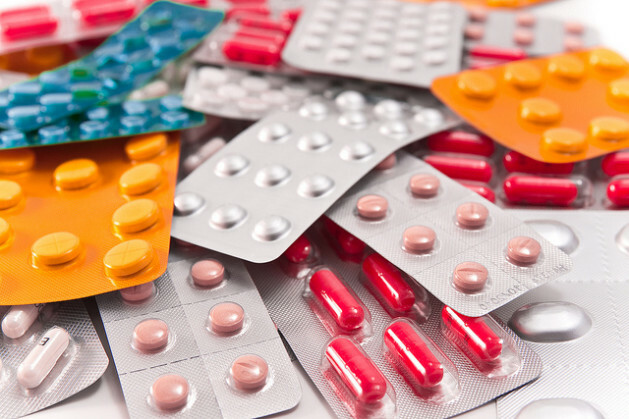 Further, by hamstringing Asian suppliers of generic drugs, the effect of TTP’s restrictive intellectual property provisions could ultimately reverberate beyond the countries involved in the agreement. “The critically important role that many Asian countries have in supplying both generic medicines and the active pharmaceutical ingredients needed to produce drugs is in jeopardy because of new restrictions proposed in the TPP,” says Judit Rius Sanjuan, U.S. manager of MSF’s Access Campaign. The proposed agreement could facilitate “evergreening” by patent-holding pharmaceutical companies, a term that refers to legal manoeuvres that, when successful, lead to monopoly powers being maintained longer than the 20 years typically allotted by patents. Imposing these types of new restrictions would run counter to previous international agreements and national legislation under which Washington has pledged to expand access to generic medicines. Any restriction in access to such medicines would also affect the United States’ own global health goals. Generics are said to make up some 98 percent of the medicines used by PEPFAR, the United States’ flagship anti-HIV/AIDS programme and the world’s largest. MSF calls the practice of evergreening “abusive”. Further, under a free trade agreement all adhering countries would conform their laws, and the standard promoted by the United States would, the group is warning, do so in a way that would make evergreening more feasible abroad. For the administration of President Barack Obama, there has been a sense of urgency to finish the TPP negotiations by the fall. Some observers have suggested that this could lead countries that would otherwise reject the clauses affecting access to medicine to allow them to remain. She also notes that negotiations are being carried out in secret and without input from civil society. Her office became aware of the clauses related to intellectual property and access to medicine only after text of a chapter was leaked to them. In fact, concerned groups and the media have had extremely limited opportunities to speak with negotiators. Much of the communication has occurred at so-called “stakeholder meetings”, wherein groups are allowed to make brief presentations to certain negotiators and given controlled access to speak face-to-face with them. IPS recently attended a stakeholder meeting related to another major proposed U.S.-led free trade agreement and was told by multiple delegates that the information they could divulge was very limited. That lack of transparency is being interpreted by some as a clear indication that the TPP agreement is not being negotiated in the interest of the general public. Indeed, the vast majority of those who have had access to the TPP talks have been representatives of major corporations. “TPP is certainly not being written in the interest of small business owners or working people,” the Citizens Trade Campaign’s Stamoulis says. Instead, he suggests it will serve the interest of “a small handful of very powerful corporations”. Stamoulis, too, notes mounting pressure on negotiators to finish the deal by the end of the year. “They’re definitely going full steam ahead to get this thing done as fast as possible, there’s no doubt about that,” he says. For her part, Sanjuan recommends that the urgency of those looking to push the agreement through be met by urgency on the part of those who want to avoid restricting medicinal access to poor people. Welcome to one world government, where an enlightened, compassionate ruling elite make public policy solely for the health, welfare and benefit of the citizens…. NOT! The amount of access that poor people will have to pharmaceuticals as a result of the patent provisions is a cause for concern. However, on the matter of the secrecy of the negotiations, you should consider that the secrecy is meant as a way to limit the influence that special interest groups have on the direction of the negotiations. A lot of domestic companies will see increased competition as a result of increased trade, and they would rather maintain their privileged market positions. It would be a lot harder for the negotiators to work out a deal in the interest of the general public if every business that would see increased competition had an opportunity to hamper the negotiations. We all know that increased trade is in the greatest public interest, it’s the special interests that such secrecy is designed to protect against.